Masatoshi Kawai was born in Japan in 1987. University awarded him a Ph.D. degree in informatics. He worked as designing aircraft engine at IHI co., Ltd. in 2015. In 2012-2015, he worked as an assistant researcher in the Information Technology Center, The University of Tokyo. 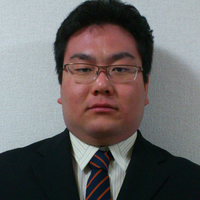 He currently works as a research associate in the Riken center for Computationa Science(R-CCS) since 2018 His research interest covers numerical linear algebra, parallel iterative algorithms and high-performance computing (HPC). B.Eng (2009, University of Hyogo), M.S. (2010, kyoto University), Ph.D. (2014, Informatics, kyoto University).